Jobs Description: Shaukat Khanum Memorial Hospital Jobs February 2019 are listed below in our site. 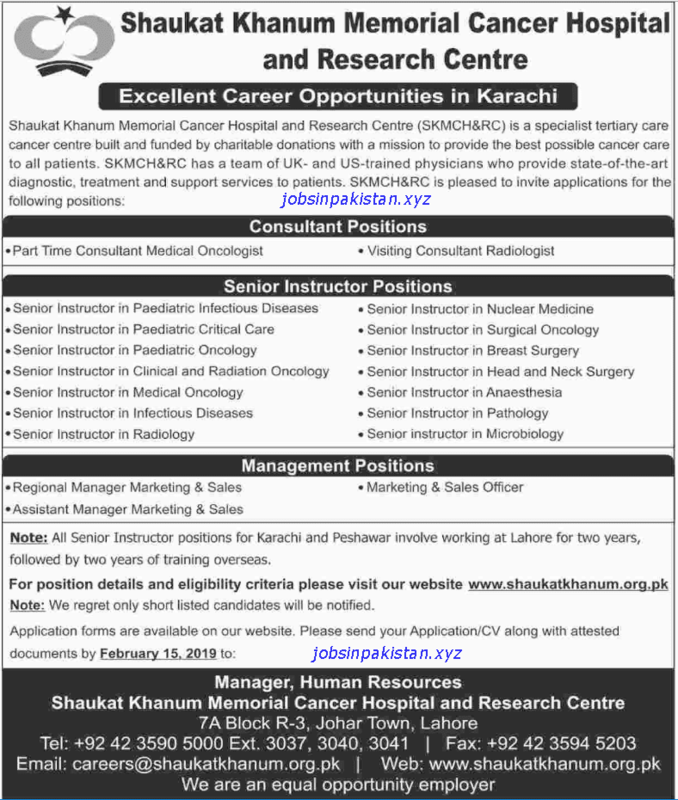 Shaukat Khanum Memorial Cancer Hospital and Research Centre recently announced an advertisement for Jobs for Pakistan Nationals. Shaukat Khanum Memorial Cancer Hospital is one of the best Cancer Hospitals in Lahore and Pakistan where patients can get free Cancer Treatment. How To Apply: Application form is available on Shaukat Khanum Memorial Cancer and Research Centre official website. The interested candidates may send their applications to Shaukat Khanum Hospital, Lahore.